The labor group Partido Manggagawa (PM) today condemned the criminalization of unionists in Cebu, Valenzuela and Cavite. 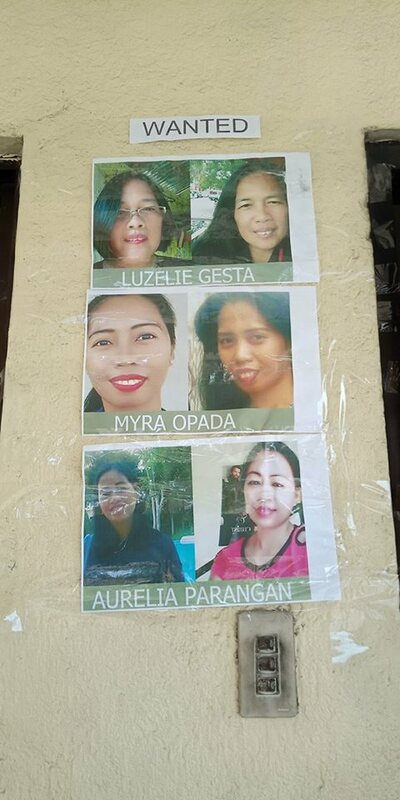 In Cebu, a “wanted list” of unionists were posted at the gate of the Mactan Economic Zone and its security office last Wednesday. In Valenzuela, in the middle of negotiations for a collective bargaining agreement (CBA), a union president and vice president were arrested due to a criminal complaint also last Wednesday. Finally in Cavite, criminal complaints were also filed against union officers. “We are alarmed at this disturbing pattern of unionists being treated as criminals. Unionism is not a crime. But with the prevailing culture of impunity, employers are emboldened to criminalize unionists and treat them as terrorists,” declared Rene Magtubo, national of PM. Meanwhile, the president and vice president of the labor union at the Nation Paper Products and Printing Corp. (NAPPCO) were arrested and detained at a Valenzuela police station for two days already. The union is trying to raise the P36,000 total bail for the two. The CBA negotiations were cancelled as a result of the arrest and detention. Cases for falsification of public documents by were filed against union officers at Jisoo Garments Manufacturing Corp. and Dong Seung Inc. in the Cavite ecozone more than a month ago. The criminal complaints followed other instances of harassment by management of active unionists in the two Korean-owned garments factories. “While police are arresting tambays for crimes that have not been committed, employers are similarly engaged in criminalizing unionists for exercising their rights as workers. Police should instead arrest employers who are illegally employing endo workers, under paying workers for wages and benefits and not remitting deduction for SSS, Pag-ibig and Philhealth,” argued Magtubo. The group is studying the possibility of a congressional investigation of the spate of incidents of union repression in the country. A global union body had listed the Philippines as among the worst countries for workers in its 2018 Global Rights Index.